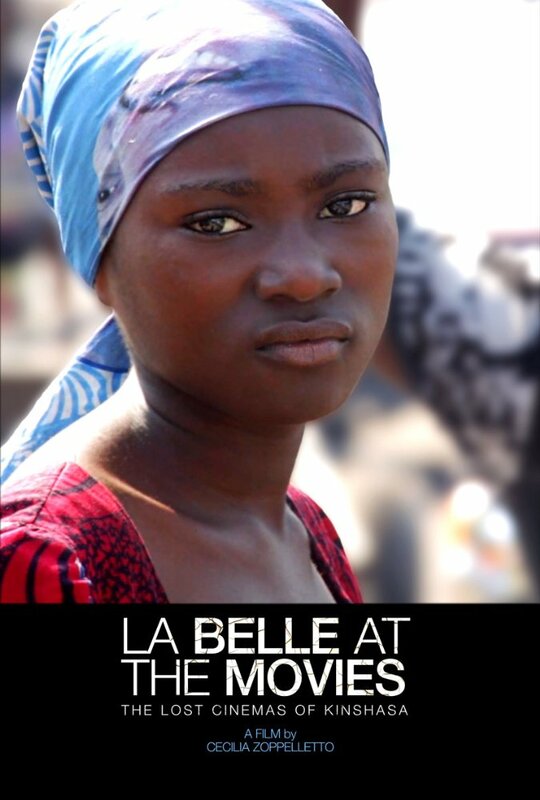 In her directorial debut, La Belle at the Movies, Cecilia Zoppelletto takes the audience on a physical and historical tour of Kinshasa’s cinematic landscape, covering the death of a once thriving filmgoing community and talking to those who are fighting to restore this tradition in the capital of the Democratic Republic of Congo. In the first half of the 20th century, up until the 1960s, Kinshasa was littered with cinemas such as Ciné Palace and Ciné Joly, primarily showing Hollywood westerns and comedies. As of 2004, not a single one remains. The cause of the rapid collapse of such a cultural institution is shown by the documentary to be multifaceted, from the coming to power of Mobutu Sese Seko in 1665, who restructured the political and social makeup of the country and did irrevocable damage to popular culture, to the influence of the church and religious leaders such as Albert Kankienza Mwana Mbo. Kankienza, the head of one of the largest Congolese churches, blames film for corrupting the people – “we had many epidemics because of cinema. When young people follow things which aren’t a good influence and try to apply them, havoc ensues.” Many cinemas have lost their audience thanks to the power of the church’s teachings, while some, including Ciné Joly, have been taken over by church congregations. The most recent problem is people selling counterfeit copies of foreign films on the side of the road. These sellers are in essence controlling the distribution of film in Kinshasa, and are selling at a price which makes it impossible for a cinema to compete, while the tv companies also use these distributors to get films on to the small screen, making the idea of paying to go to the cinema less attractive. Despite the aforementioned difficulties, veteran filmmaker Balufu Bakupa-Kanyinda is hopeful that in working with government officials it will be possible to both revive the moviegoing culture, by setting up funded, community orientated cinemas, and to encourage young Congolese filmmakers to make more films and to distribute them internationally so that Kinshasa, and the DRC as a whole, can once again be a cornerstone of African cinema. Tim Abrams interviews Cecilia Zoppelletto, director of La Belle at the Movies, screening at Glasgow’s Grand Ole Opry on the 3rd of November for Africa in Motion. Tim Abrams: Before making La Belle at the Movies, you undertook PhD research on the film archives of the Democratic Republic of Congo. What is it about the DRC’s relationship with film that interested you enough to make it the focus of your doctorate studies? Cecilia Zoppelletto: Actually the film came before the PhD proposal. I interviewed a director of the film department Ngiangi at the 16mm archives of the RTNC, the DRC’s National Broadcasting Company, and the backdrop of abandoned reels intrigued me. I wanted to understand what had happened to the cinematographic memory of the country and try piece together what was left to decay there. My work focuses on post independence film production and national identity, which is extremely challenging in a landscape where there is no film preservation and minimum archiving. It means perseverance, like all PhDs I suppose, and long periods of field work in Kinshasa which I enjoy enormously. TA: Why did you decide that an introspective look at the cinematic landscape of Kinshasa should be the focus of your first film? CZ:I had worked on factual television for almost a decade and was keen to make a transition into documentary film but at the time I did not set out to look for a suitable project. The project came to me. I was in Kinshasa on holiday and noticed the absence of film billboards, something I always look out for when traveling. I like to see what content is consumed in the world from TV ads to radio show posters. This absence, in a city that counts 10 million people, became fascinating to me. I asked everyone I spoke to why it was so and I was told there were simply no cinemas and when I asked why, the answers were tentative, nobody could really say why. At that moment I felt I wanted to know the answer and a rich story to explore so I organised to come back months later with a co-producer, cameraman to find out. TA: From start to finish, one of the key themes of the film appears to be the social and political power of film and the way in which this power can be exploited. Could you say a little about your own personal view on the way that film should be managed in order that it is not used to the benefit or detriment of particular groups of people? CZ: Film is political but when you have freedom of production and people that believe in supporting the arts, all voices can be heard. I am not sure how film should be managed and by whom, what is necessary is that film is produced to allow everyone to express their visions or dream. Sadly some realities such as the Congolese did not have any budget to make independent films, everything was part of the state machine so if you wanted funds to make a film it had to be in line with government. By the time all independent productions disappeared nobody was involved anymore in funding films aside from the government ones. If more individuals support the arts, by funding a production or lending their car to a student filmmaker or simply going to the movies, more material can surface, more truths can be seen. TA: The film La Vie est Belle is cited as an example of Congolese cinema depicting Congolese life. How significant was the film as a rebuttal to the way in which the DRC had been depicted in the films of other countries? CZ:La Vie est Belle is important to Congo, mentioned by all Congolese with absolute pride as it is the kind of movie that depicts fairly the challenges of the nation of the time whilst exposing the resilience of talent and Congolese music and art. I am not sure it had the kind of international impact that it could have because of distribution. Was it seen by as many people as it could have? What are the chances of a Congolese film ending up in the programming of a tv network in Brazil or in Spain? I am afraid “world film” still stays in the “world” and keeps our views in the same power order. First Hollywood films, then the national production of each country and then for few people a subtitled, non European international film. TA: How important do you think government intervention is for having a thriving cinematic climate and community, given that in the past Kinshasa’s cinemas all seem to have been community-led projects? CZ:To have a successful cinema industry you have to have willing entrepreneurs and the only way they will be willing is if government assures them stable conditions. There has to be control on pirated material, on the streets but mainly on television. A very small number of TV stations broadcasts films of which they have paid licenses, this is a deterrent to those who want to invest in buying licenses for films and end up seeing the same film on TV the night before opening in a cinema. Government can help but does it have the structure to do so? It could help also with the funding of films, by implementing schemes such as tax rebate for productions as it has been carried out successfully in many countries so that private individuals are more likely to invest. I was able to interview the Minister of Culture Banza Mukalay on the plans of the government to help the film industry, and his vision was clear. The Minister wanted to create a National Film Institute to train and support filmmakers to create local content for television and once the industry would pick up the second phase of the plan was to find a budget for the construction of cinemas. His ideas based on the success of Nollywood. Sadly Minister Banza has passed away this May and his project never came to fruition, and at the moment with an imminent change of government it is impossible to say what will the strategy for culture be. TA: What do you think Kinshasa’s, and the DRC’s as a whole, chances of reviving the once thriving cinematic community are, and how important is it that they succeed? CZ:The conditions are there, much more so than ten years ago. Technology has become more affordable and learning the skills is more approachable. If you are a kid in Kinshasa wanting to make films now, you can give it a try without going to film school but by watching and reading all the filmmaking material available online. That is on a production level. On a distribution level, even starting a cinema can be more affordable now. I know in fact that a group was able to raise funds and converted a college hall into a cinema, the are debuting CineKin at the end of October with a commercial program. This is very promising because it reinstates the habit of going to the cinema whilst promoting young filmmakers to produce films that can be watched on a large screen. Film is fundamental to allow people live through images ones culture and aspirations. Watching Hollywood is not relatable to all, it is a far reality to the girl in Limete or Ndjili who does not necessarily share the same values, and why should she only see the aspirations of a girl in Manhattan as the norm? At the same time her story can travel to the rest of the world with a film, hopefully a more dynamic cinema production will increment the number of films sent to international festivals and that will pick up an audience looking forward to this exposure. Previous High Fashion, High Impact?